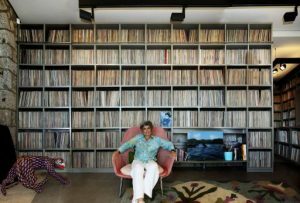 Over the last 30 years, Alejandra Fierro Eleta — also known as Gladys Palmera — has amassed the world’s largest private collection of rare Latin American recordings. The archive includes more than 50,000 albums, photographs, and other ephemera, focusing largely on Afro-Cuban music from the 1950s. The physical collection lives with Palmera, but the online collection can be found here.